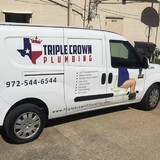 Complete plumbing repair services, including water heaters, slab leaks, sewer and drain, water/gas/sewer line installation and repair, fixture installation, and more. Serving the entire DFW Metroplex. 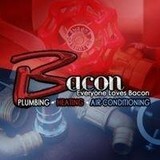 Plumbing Bedford TX Is it true that you are starting to endure subsequently of your plumb machines and now you might want some expert help to get you out of this intense condition? 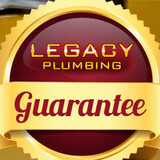 Provided that this is true, then Plumbing Service Bedford TX is the ideal organization for you. Our Texas handymen are prepared to hurry to your helper to get you the bolster you merit. Sewer line Grand Prairie TX is entirely neighborhood and close you on the off chance that you live in this city. What this way to you is true serenity, accommodation and speed of accomplishing whatever administrations that you want on the off chance that you wind up confronting a noteworthy hole in one of your edge valves under the kitchen sink and are anxious about the possibility that that it may surge the house or more terrible reason significant harm to the wood planks. A plumbing contractor handles the installation and repair of water, sewage and natural gas pipes throughout a home, as well as interior and exterior faucets and fixtures. Plumbing contractors are also trained to work with water mains, septic tanks, laundry appliances, water heaters, sump pumps and other plumbing and pipe systems. Because plumbing repair work is done largely behind walls and beneath floors, some plumbing companies can also patch or replace tile, stonework and other surfaces. Although some Bedford plumbers are generalists, others specialize in specific areas; a 24 hour emergency plumber will handle urgent residential repairs, while others may be more skilled in remodeling, natural gas lines, overhead sprinkler systems and more. Find a local Bedford plumber on Houzz. 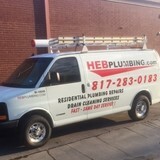 Narrow your search in the Professionals section of the website to plumbing contractors in Bedford, TX. You may also look through photos of Bedford, TX projects to find a licensed plumber who has worked on a project similar to yours. Here are some related professionals and vendors to complement the work of plumbers: General Contractors, Septic Tanks & Systems, Kitchen & Bath Designers, Kitchen & Bath Remodelers.